There are places in America where it is not required to have a building permit to start building, most of these areas are rural counties. There are places in America where there are no zoning laws, Houston Texas being the prime example. You may be curious to know that the Australian equivalent would be the Northern Territory, go outside of a “Building Control Area” and you won’t need to worry about Building Codes, although, Planning Codes may still be applicable. If you are outside a Building Control Area in the NT, then typically you are far far away from any developed city or town. The below video provides interesting first-hand insights from a couple of the good, the bad, and the ugly of building in an American county where there are no mandatory building codes to comply with. I just bought a small garden shed from Bunnings. Do I need Building Approval? … then a Building Approval is required. Unfortunately, it doesn’t take much to trigger a Building Approval. 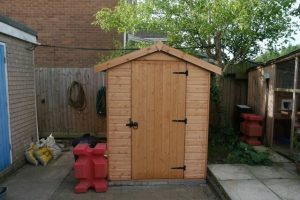 If you require a Building Approval for your shed, please be aware that the same rigorous assessment applying to large sheds also applies to small sheds. If you have recently bought a small shed that requires a Building Approval, don’t be surprised if the costs associated with obtaining a Building Approval (i.e. 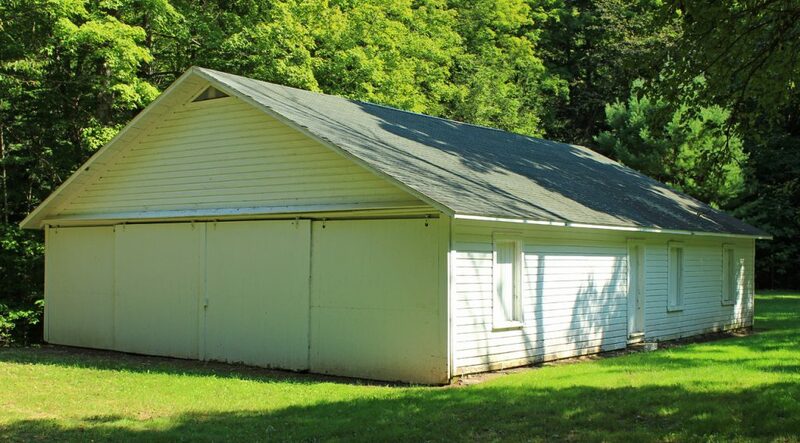 structural drawings, soil report, certification fee, Council fees, etc) exceed the cost of the shed itself. I say this because many people who call in to inquire about getting a Building Approval for their small shed are truly surprised by the amount of regulation that is involved. At the end of the day, the aim is to show your building certifier that you have a documented design that demonstrates compliance with town planning codes and building codes. Sounds easy enough, but, as always the devil is in the details. a good draftsman and structural engineer are worth there weight in gold. If you would like to know if your shed design complies with the relevant town planning and building code laws, please feel free to call Agile Approvals for advice and assistance. QBCC has recently reinforced the need to obtain a building approval when re-roofing more than 20% of your roof. 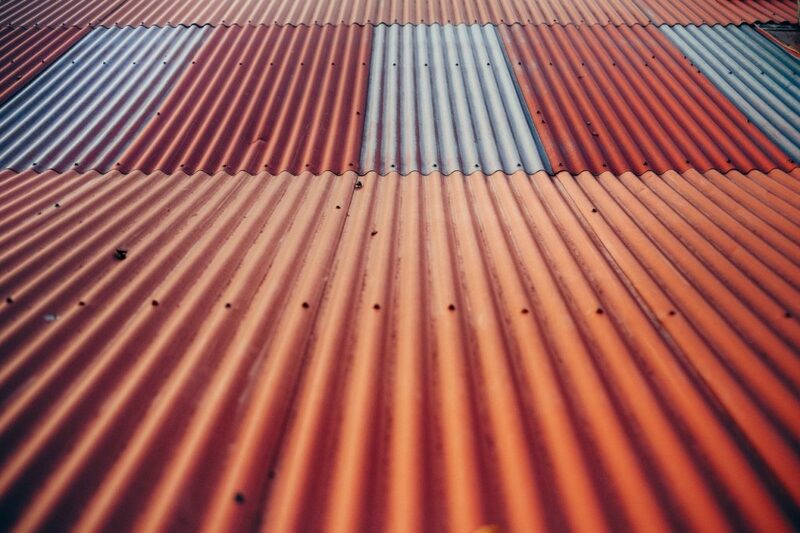 It appears that there are some roofing contractors who are unaware of this requirement and are simply re-roofing houses without proper building approval which is in contravention of the Building Act 1975 QLD and can place their QBCC licenses in jeopardy. Also not to mention that the homeowner is now faced with a roof that has not been lawfully approved which may affect their home insurance. The re-roofing also involves repairing or altering major structural roof beams. The re-roofing involves going from tiles to sheet roofing or vice versa. The re-roofing is being done in a cyclonic area. The re-roofing involves changing the roof type, e.g going from hip to gable. The re-roofing involves box gutters. Now for more complex jobs, other documentation may be required but for most re-roofing jobs if all you are doing is like for like, it is fairly straightforward. If you are a homeowner and your roofing contractor has not included building certification costs into his quote, please feel free to call Agile Approvals and we can help advise on your next steps. If you are a roofing contractor and would like to know how you can work building certification costs into your workflows, and/or you just have a bunch of questions you want to ask, feel free to call and we will be more than happy to answer all your queries. and if you don’t have a strong sinking fund… good luck. 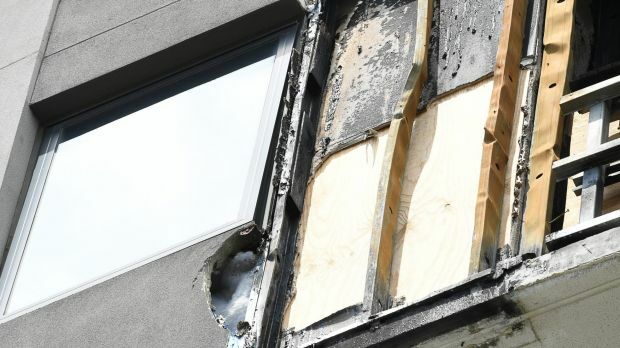 This apartment building in Brunswick Victoria has been slapped with an order to remove the flammable cladding at a cost of around $2m. Will this start to occur in Queensland? Who is ultimately responsible? Will we start to see class action lawsuits? I built my carport / shed without building approval, but now I want it approved, how much will it cost? It’s a legitimate question. People want to know how much it’s going to cost before they commit even more time and money to get there unapproved existing carport/shed/garage/god forbid house across the line. However, unlike an actual unchanging physical product where it is easy to give an estimate of cost. A building approval, especially when it’s for an existing unapproved structure has a lot of variables to consider where one small thing/issue/non-compliance can mean thousands of dollars to rectify. Issuing the building approval for an existing structure is actually the easy part, the building certification cost component is small compared to the total cost of what you will have to pay to other building professionals to get it across the line. The hard part is to demonstrate to your building certifier that your existing unapproved carport/shed/garage/structure can meet today’s current town planning and building code requirements. Easier said than done. It doesn’t meet setback or coverage requirements as per the planning scheme, thus additional relaxation approval from Council is required. It’s constructed over a planning overlay constraint (e.g. environmental overlay), thus additional approval from Council is required and a Town Planner will likely need to be engaged. No structural drawings, thus a Structural Engineer will need to be engaged. There are structural drawings, but the construction of it deviated from the drawings and the Structural Engineer won’t sign off on it unless significant rectification is undertaken. It’s lined on the inside in such a way that it’s impossible to inspect the structural aspects of it. Thus, it creates more work for the structural engineer. Downpipes are not connected to the subsoil stormwater drainage system. No termite protection was considered. Its attached to the main dwelling, termite management was not considered and now it provides concealed entry into the main dwelling. Fire separation was also not considered. It’s too close to the boundary and too close to the house, and now additional fire protection works are required. It’s built too close to the underground sewer, stormwater and/or water main. Thus it will need additional approvals from the services authority for a ‘build over asset’ approval. It uses timber trusses, but the paperwork to show that it was manufactured to the correct code is lost, this requires additional work by the structural engineer to sign off on it. You probably won’t have all the above issues to deal with, but it’s something to keep in mind because if you are going to build it and then ask for forgiveness, the homeowners I deal with can sometimes get surprised by the amount of compliance that’s involved. Not to mention the extra time and money when compared to doing it correctly in the first place. This is the risk you are playing with. Circumstance #1 – You actually do have a building approval, but for whatever reason, you never got it finalised with the original building certifier and have since been disengaged, and for whatever reason, the original building certifier does not want to have anything to do with it – In these cases, you are actually in a much better position because at least you have the building approval to allow you to build it in the first place, which means if it wasn’t too long ago, the design of the building will still likely comply with today’s requirements. Circumstance #2 – The building or structure you built without approval is your house… ok in this situation, that’s a different ball game altogether and much more difficult to achieve post construction sign off. The building is more complex, it’s habitable which means there are more requirements to consider, and it will require a lot of invasive testing and building forensics works just to verify it’s built to code. Suffice to say this is the worst case to be in and the cost to get it across the line will be much much higher. Be prepared. If I haven’t scared you off, I do offer my customers the ability to just pay for a detailed assessment first. So for a much smaller commitment they can get the full picture of exactly what they need to do to get it across the line. For more information, please contact us today. 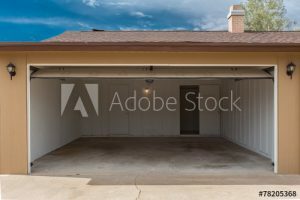 I want to convert my garage into a bedroom, easy right? I seem to be getting a lot of enquiries of late from homeowners wanting to convert their garage into a bedroom and maybe an extra bathroom and kitchenette thrown in. The first thing they always ask is, do I need a building approval? if so how much and how long? Well, the answer to the first question is YES, and like everything else in life the answer to the subsequent questions are… you guessed it… “it depends”. Have you spoken to a Town Planner or sought preliminary advice from Council? Many town planning schemes in QLD stipulate the requirement of a covered garage or carport being provided as a minimum. If you convert it without compensating, you are now in breach of the planning scheme. If you are in one of the newer development estates. Have you spoken to the development estate managers regarding any covenants that may prohibit what you are trying to achieve? Newer estates have quite strict covenants attached, that will limit what you can and can’t do, in order to maintain a consistent aesthetic in the estate. If you do have developer covenants to adhere to, you will need their approval of your development to proceed. Once you have the town planning sorted; and you’ve also got a developer estate covenant approval (if required), everything that applies to a Class 1a habitable room now becomes a consideration under the BCA. Easier said than done. You now need 2.4m min ceiling height, measured from the FFL. Can you achieve this? You now need to prove that a damp proof course vapour barrier was installed under your garage slab. Can you prove this? other wise a new topping slab with a vapour barrier installed may be required. Checking your existing building plans may verify this for you. If the garage is closer than 900mm off the boundary will it still comply with fire separation requirements as a Class 1a? If your existing garage wall is brick veneer and constructed so that it goes all the way to the underside of your roof covering, then no issues, if not, you may need to consider providing additional fire protection. Is the space conditioned? if not it now needs to comply with energy efficiency requirements, though the extent can be discussed and agreed upon with your building certifier. Are you in a flood area? if yes you will now need to meet the higher minimum FFL for habitable rooms. The new bedroom will now need to be provided with a photoelectric smoke alarm that is interconnected and hardwired to the existing smoke alarm system of the house. If your property has its own on-site sewerage system, will it cope with the new fixtures and increased occupancy? If not the system will need to be upgraded… $$ouch!! If I’ve scared you away from getting a Building Approval but not from actually doing the conversion on the sly… I would highly recommend you think again. Worse case scenario, you sublet your garage as a bedroom, a fire breaks out… do you think your home insurance company won’t be asking any questions…? yikes! 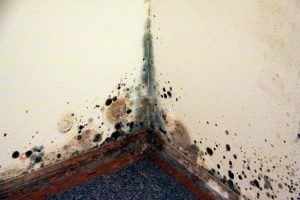 Is Australia going to experience a wave of “leaky building syndrome” like NZ and Canada? New Zealand and Canada have experienced an epidemic of leaky buildings. It appears Victoria, NSW and the ACT are seeing a rise in this unfortunate phenomenon, no mention of Queensland thought, but is this more a when than an if? 5. Removing unwanted condensation in the interstitial spaces of your building fabric is a real science. Here at Agile Approvals, we are cognizant of the aforementioned issues, and this is where we are able to provide the kind of advice to your Architect / Design Team that you just can’t put a price on. A few days late to this article , it’s from the Courier Mail but it does appear the QBCC are cracking down on builders finances. The statistic that really surprised me was the number of builders in Queensland that have gone bust since the start of the year. Have a guess…5? 10? 20?… give up? 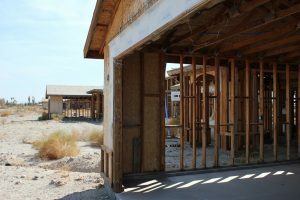 It’s 30+ builders that have gone bust since the start of the year… and potentially a lot of houses, renovations, decks, carports that remain unfinished with homeowners left in the lurch. I’m not sure where the Courier Mail got this statistic, and I have not verified it. I’m going to assume that they obtained this figure from the QBCC or somehow did some ASIC database sleuthing. I actually do wish there was a way to keep tabs on this and I do wonder if there is a way to know who is on this list of 30+ builders… but that will have to be an article for another day. Hope fully as a home owner, you’ve only paid up to the amount of work rendered, this doesn’t mean it’s not going to cost you more money, to the contrary, if you find yourself in this predicament, the chances are high that your builder hasn’t paid his subcontractors (including the building certifier) for the work they have done on your house. So the issue you’ll have is that the subcontractors may not be so inclined to help you finish the work if they haven’t been paid themselves. It’s not the end of the world, but boy is it now going to cost you more time and money to have the house completed by another builder, keep all the subcontractors happy, and chase the required paperwork so that your building certifier is able to finalise the approval process so that you can lawfully occupy your own home. Not a very pleasant experience. In my experience as a certifier, the biggest pain point is chasing the paperwork from your subcontractors (i.e. Form 16s, Installation Certificates, etc) so that your building certifier can finalise the approval. If you find yourself in this unfortunate situation, your first call should be to the QBCC to see if there are avenues under the home warranty insurance scheme that you paid into at the time the building approval was issued. Your second call should be to the building certifier to ascertain the actual status of the building approval and the required documentation that is still outstanding that your building certifier will need a copy off in order to finalise your building approval. If you’re building certifier is not willing to assist or either you or your certifier have disengaged themselves from the project, feel free to contact us, no guarantees we will have an easy solution, but we are always happy to steer you in the right direction. Exciting times ahead… It’s been a wild ride for me, 15+ years in the building game from carpenter to estimator to building regulator and now building certifier. It was a long winding road, but not one without its purpose… after all those years studying the BCA it’s finally culminated in the launch of this company. I’ve worked with a number of building certifiers before, but I’ve always felt that there was much the industry needed to improve on, whether it be the user/client experience, the level or lack of customer service, the inability to fight back bad regulation, and even the snail pace uptake of technology. There was always something niggling away at me so much so that I finally made the plunge to put my money where my mouth is. So here’s a toast to Agile Approvals.